As the end of 2016 approaches, it’s nearly time to make our New Year’s resolutions. Maybe we’ll take up a new hobby, or perhaps we’ll quit a perennial bad habit? Or possibly, it’ll be that old favourite: slimming, cutting down to restore our figure after a festive season full of excesses. For Subaru’s BRZ however, 2017 is all about beefing up, with the Japanese sports coupe set for an altogether more muscular look in the New Year thanks to a raft of tweaks. On top of a wider, lower and more chiseled front end that features all-new LED headlights, the 2017 BRZ (Subaru’s version of the Toyota GT86) has gained fresh rear lamps too and sprouted a new rear wing. Inside, drivers of next year’s BRZ will be greeted by a new 4.2-inch colour display that can relay real-time G-force readings, steering angles and brake forces. 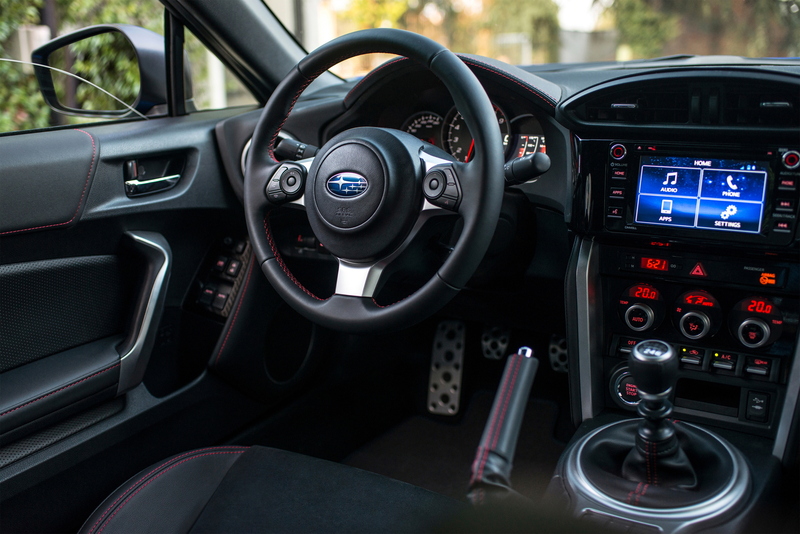 There’s also revised, smaller steering wheel, while Subaru has also focused on improving the general fit and finish of the BRZ’s cabin, including the introduction of Alcantara and leather seats. It’s not a case of ‘all show and no go’ however. The Japanese manufacturer has been busy under the bonnet too, strengthening the engine block and reducing weight and friction to provide an even more electrifying response from the 2.0-litre boxer unit. 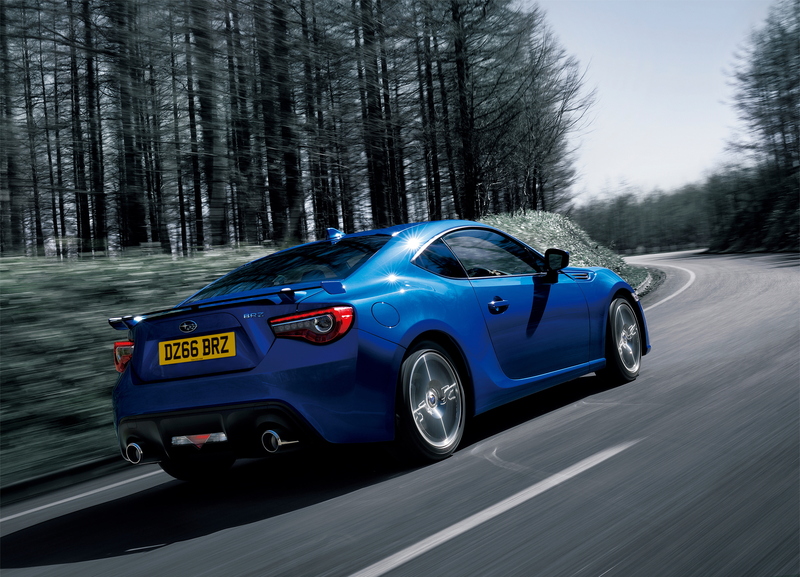 Like its GT86 twin, the BRZ carved a formidable dynamic reputation and Subaru isn’t looking to give that up in 2017, bringing revisions to the suspension that should improve on what is already an impressive platform. While specifics are scarce, there’s also a new ‘TRACK’ mode that “enhances the stability of the car” and aims to sharpen your accelerator inputs when out on circuit. We’ll have to wait a little longer to find out how much this package comes to though, with Subaru yet to release its 2017 pricing.